Once in a while the occasional opossum will come through the neighborhood and create a den site under a deck or patio. 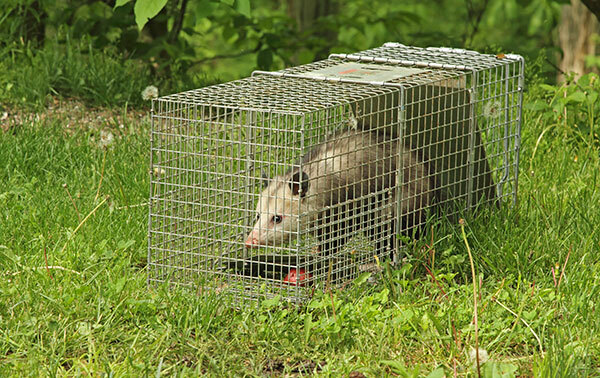 Trapping opossums is not as complicated of a process as many nuisance animals, they will usually enter a trap willingly. Despite their nuisance concerns, opossums are one of the best animals to have around. Opossums will ingest many insects such as grubs, ticks, and slugs; as well as small mammals such as shrews and moles. Opossums are also the only marsupial of North America, related to kangaroos and koalas. Newborns are so small, 9-10 of them can fit per teaspoon! Many opossums become orphaned after the mother is killed. Others become “orphaned” when they fall from her back or are somehow separated. 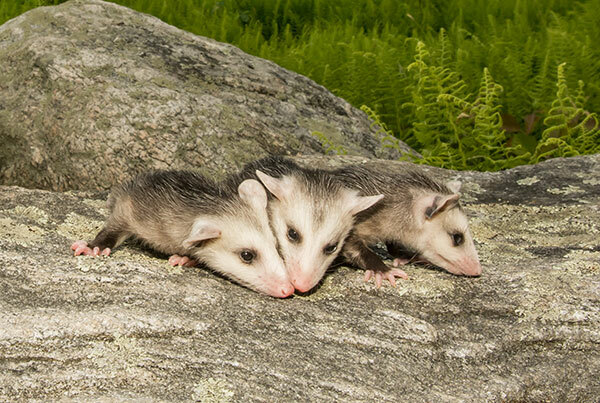 These opossums must be raised by wildlife rehabilitators. Any safe, dry place will work as shelter for an opossum: a crevice, underbrush, or a hollow log; the space under a deck or outbuilding, or the occasional attic, if access is available. (Usually a squirrel or raccoon will do the access work!) Opossums will pad any available shelter with leaves or grass carried in the tail or back paw. If you have an opossum around today, just be patient; he or she will move on shortly! The animals are nomadic creatures and are not “den” animals; they never stay long in one place. One study showed that a radio-tracked male had moved nineteen times in just a few months. A female with young may stay in one place for longer periods if she is not disturbed and has an adequate sources of food and water. Opossums are not dangerous as long as they are not cornered and their interaction with other animals and humans is kept to a minimum. They are beneficial to eliminate rodents, snakes, insects and carrion, and they provide a VITAL “grounds-keeping” function in most urban environments. When awake, they forage constantly, cleaning up food that might attract less-desirable mice and rats. They are gentle, and remarkably placid, even around people and pets. But, they WILL protect themselves and their young if necessary. You may have provided, perhaps by accident, the food and shelter they seek. The best way to prevent conflicts is to modify the environment. Fish, canned cat or dog food are good opossum baits. To readily entice the opossum into the trap, use a small trail of bait leading to the trap.  All traps should be checked in the morning and evening, so that captured animals may be dealt with in a humane manner. Don’t purposely or inadvertently feed opossums or any wildlife. This will inevitably lead to undesirable situations. Feeding wildlife causes the animals to lose their fear of other animals and humans. When concentrated into a small feeding area, disease and parasites can be spread to people, pets and other wildlife that would otherwise never have come into contact with each other. Feeding also puts your neighbors and their pets at risk due to the wildlife’s loss of fear. Feeding these animals is not an act of kindness. Keep pet food inside, filling bird feeders with what will be consumed that day only (no bird food left out at night). Keep garbage cans tightly closed. Use bungee cords and cinder blocks, or purchase cans with latches. Put garbage out for pickup in the MORNING, after the opossums have gone to bed. Keep pets inside at night. City ordinances may vary, but leash laws apply to ALL pets. Secure compost piles. Animal-secure compost bins are available commercially. Most city ordinances prohibit food stuffs and grease in compost piles for a reason. Clean outdoor barbecue grills and grease catch cans. Secure under deck, house eaves and chimney access points with a sturdy metal mesh wire. Trim tree limbs to prevent roof access.